Time for change, colorful words on blackboard. What I’m reading: The numerous processes to navigate my retirement from the military. What I’m watching: FIFA World Cup when I’m not finishing classwork. 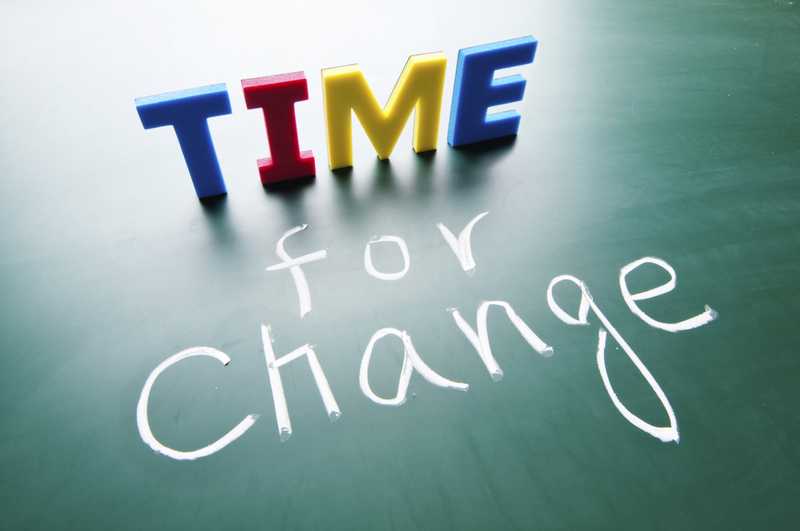 Implementing change in an organization, we all have went through it. Now, I know what you are thinking. Change is, fundamentally, a people-driven process, and our natural instinct is to resist new things, processes, perspectives, and behaviors. This does not mean change will not happen, it merely suggests we should expect change to be difficult. Change is inevitable, so why not manage it responsibly. In I’m Old School Part One I discussed getting back to basics to prepare for change. Preparing yourself – and the organization – for change depends on managing goals and your environment, focusing on the now, thinking versus doing, and the future impact. • What is the change? • Why is the change needed? • What’s wrong with the way things are now? • How much/how fast will the change need to be implemented? Get Personal With Your People – Build a responsive and rational case. What’s in it for me/us? • Do not present change as another “program of the month”, you’ll lose your audience. • Seek out those Change Agents and Influencers, Innovators and Early Adopters. • Understand the importance of The Rodgers Innovation Adoption Curve – Do not waste effort! • Get coworker support. Coworker support is vital. Collaborate with coworkers about change (leave out specifics) to forecast if they would be on board with the change. Plan Your Action – Get senior-level support. Your leadership team must be the role model for change. • Leave out the gossiping, bashing, and complaining. • Engage with your supervisors productively with the next few bullets, verifying if they show interest in change. • Timeline: How long will this take to implement? • Budget: How much will it cost? • Requirements: What does the company need to supply to make change happen? • Payoff: How will this help the organization? Sell The Change – When people “own” the change, it accelerates. Collaborate smartly. • Again, understand the importance of The Rodgers Innovation Adoption Curve. • Invite people and welcome their ideas and perspectives. Provide informal support and recognition to their contributions. People respond better and their ownership of those new behaviors will accelerate the change initiative. Embedding Change – Refine for success. • Once people embrace ownership of change they will contribute and ask questions. How can WE improve on OUR original idea? How do WE make the change even better? • Hold people accountable and encourage them. Remember, change management is not easy. You will be defeated. You will meet resistance. It is difficult to make change happen within an organization; continue to find ways to make positive changes, work on methods to get ideas approved. Remember. You can accept failure as the result or embrace it as a learning opportunity.